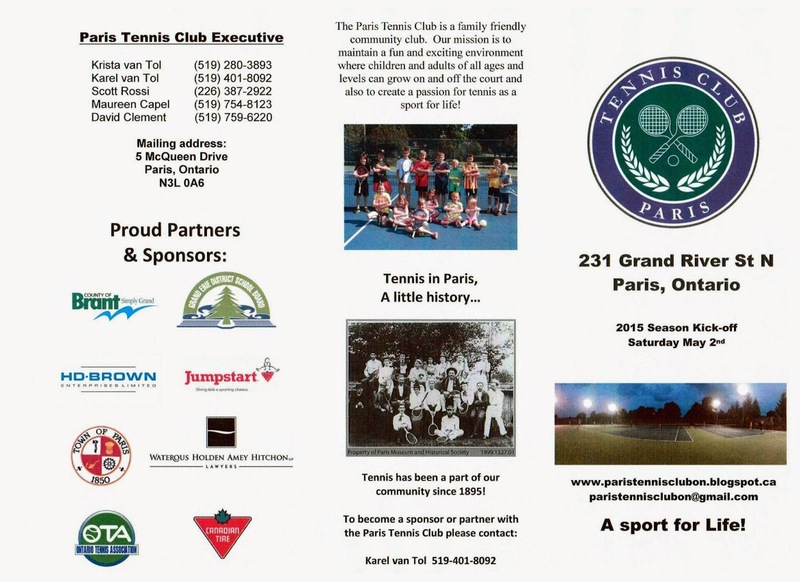 Paris Tennis Club: Season Kick off and Membership Registration - Saturday May 2, 2015 11:00 a.m. 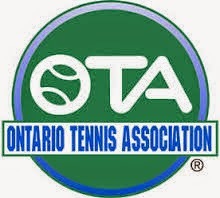 Season Kick off and Membership Registration - Saturday May 2, 2015 11:00 a.m.
Come join us on Saturday May 2, 2015 at 11:00 a.m.
for membership registration, court clean up and some fun round-robin play! *Memberships can be purchased on this day by cash or cheque only. 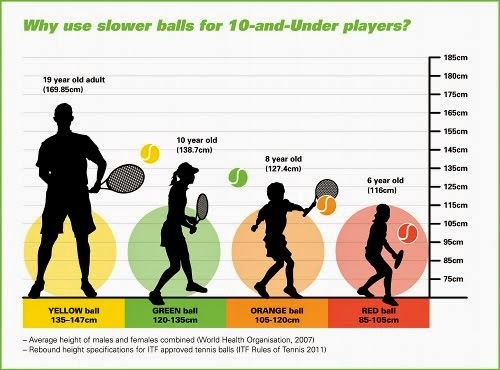 Please make cheques payable to Paris Tennis Club* You will receive a key to the court and a shoe tag along with a member information package. 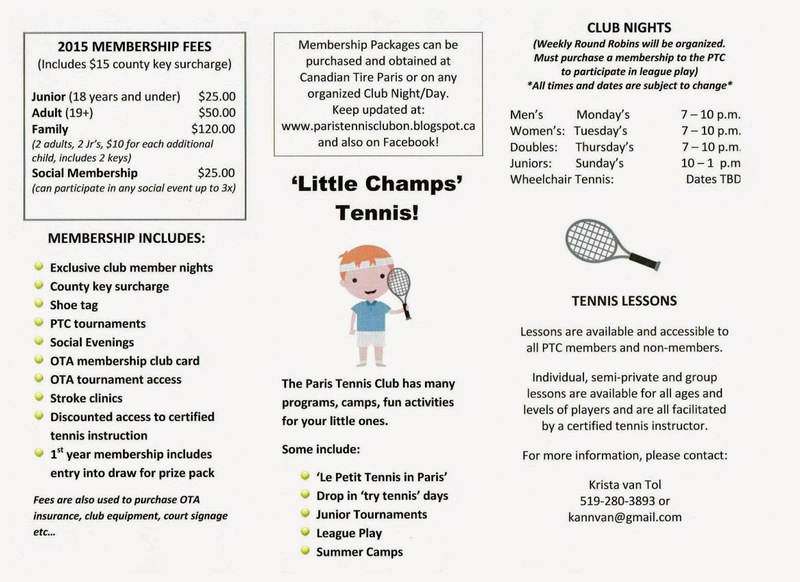 If you are unable to make it out on May 2nd, you can purchase your memberships on any organized club night or at the Canadian Tire Paris store after May 2nd. More Membership Registration dates to be announced! Stay tuned!